patents, and software in general. Expert in wireless communications, 4G handover, LTE, 5G systems, backhaul, and Network Function Virtualization. Cloud-based radios, WiFi, Bluetooth Wearables, and mobile platform development for iOS and Android. for music and video, and TV. Dr. Edwin assembled and configured a private cloud at the EGLAVATOR and has instances for his own products, as well Amazon Web Services (AWS), Azure (Microsoft), and Docker containers & Kurbenetes. I worked under the Wireless Networking Group and was in charge of the Bluetooth Personal Area Networks (PAN) drivers and this worked lead to several patents owned by Microsoft & contributions to the Wireless Zero Configuration service and Bluetooth networking. As part of my accomplishments, I competed Bluetooth PAN Certification for Windows. I worked on the "Java Virtual Machine" (JVM) while at Motorola for Windows Smartphones, CDMA, and finally on one of the first Google android prototypes, iDEN's i1. The work on mobile software included experience in multimedia messaging, JSR-177 Security & Trust, JSR-82 Bluetooth, Location-based Services, Webkit browser for Android devices, overall Android architecture for Push-to-Talk and working with 3rd party vendors such as TeleNAV (GPS ), MobiTV, Opera Browser, and others. 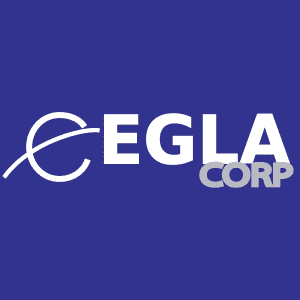 EGLA CORP is the company I founded, and I have been working on media streaming and wireless communications where at EGLA. Now, the EGLAVATOR is created and help others with advice, and assistance. All costs at the incubator are lower then market. While at EGLA, I have worked on MEVIA & Cloud to Cable platform, a patented technology, MobileCAD & MobileIPP, and my "Expert Witness" consulting.